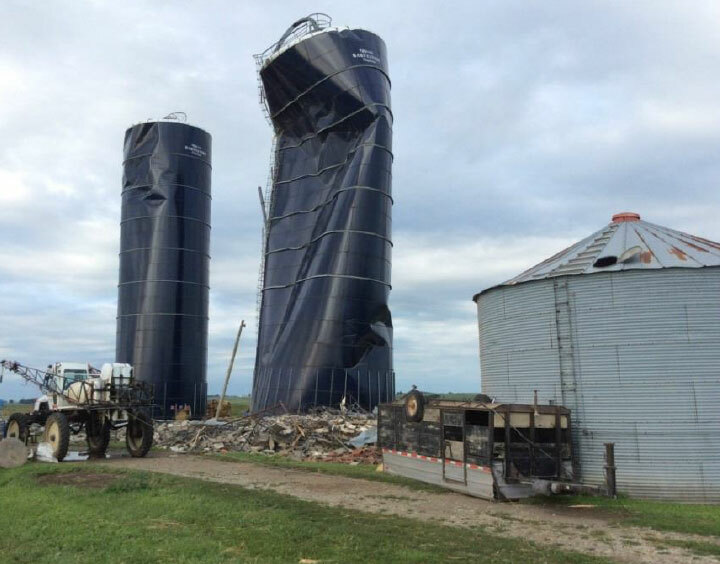 National Weather Service photo of silos damaged near Prescott. A survey team from the National Weather Service has determined that the tornado that went through northeastern Adams County Sunday was an EF-1. The the worst damage happened about 8 miles north-northeast of Prescott. The tornado traveled south before turning northeast. Machinery and bins were hit hard, and some corn and soybeans were flattened by the storm. The National Weather Service says the storm hit around 6:25 and lasted about 25 minutes. It had high winds at 100 miles-an-hour while cutting a 350-yard path for 4 miles. While buildings and crops were damaged, nobody was injured or killed in the storm.